Is your website ready for Google’s algorithm updates in April? Google has made significant new changes to their search engine algorithms last year, so adapting your SEO strategy for this year is of vital importance. Despite the advent of social media like Facebook and Google Plus, search engine optimization is still important to improve your website’s ranking. Incorporate these four SEO tips for your 2015 strategy. Write content for people and not for search engines. A winning SEO strategy will incorporate keywords naturally throughout your content, title, subheadings and image alt text. Use the correct heading tags H1, H2 and H3 tags. Keywords in image alt texts and file names can lead to more linking opportunities to your website, for quicker organic growth of unbound links. 2. Improve your Website’s Loading Speed. Improve your website’s loading speed for a higher site rankings and a better user experience. Test your site speed with Hubspot CMS Tool, Google or contact Kommand.me team for help. Your site is slowed down by client and server errors, plugins, bad coding, different size images, images with incorrect pixels, and embedded videos. 3. Shorten URLs and Keep Characters the Right Length. Short URLs are easier to crawl - keep URLs. Keywords in your URLs help search engines to categorize your site pages. Title tags are used by search engines to display a page in search results. Include keywords in the title tags and keep them under 60 characters. Keywords should be near to the beginning of the title. A meta-description of under 156 characters or less is easier for user to read. 4. Make your Site Mobile Friendly and Switch to HTTPS. Google has begun to move from Hyper Text Transfer Protocol (HTTP) to Hyper Text Transfer Protocol Secure HTTPS, in an effort to make websites more secure. 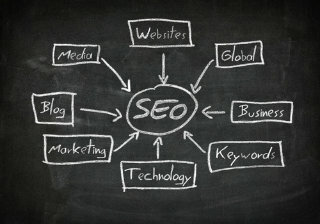 The new protocol will also be used as a factor in searching rankings. Nearly half of the web activity is mobile based, so mobile friendly websites are likely to feature high in search engine rankings. A winning SEO strategy will ensure there are no faulty canonical links, element canonical HTTP headers, redirects, mobile-only 404s, blocked media, and slow mobile load times. If you would like to find out more about digital marketing, website development or redesign contact Kommand.me team and see how we can help you.